Seasonal dryness will continue to prevail all across Tamil Nadu. Very warm conditions are very likely to prevail in the interior parts of the state with clear sky conditions and coastal areas will continue to witness balmy weather. Night temperatures are expected to be near normal. A fresh Western Disturbance is likely to influence the weather conditions in the form of rain/snow over the hill states of Jammu and Kashmir & Himachal Pradesh from 23rd. North West India could also witness rains in due course. Chennai – Pleasant and sunny with highs of 31C and lows of 22C. 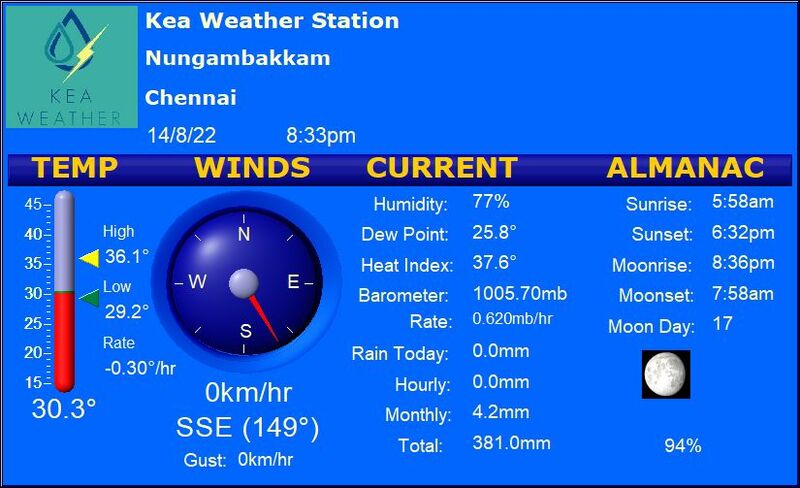 Vellore – Slightly warm day followed by a cool night. Temperatures will range at 32/18C. Trichy – Warm day in the offing with highs of 33C getting pleasant in the night at 21C. Madurai – Very warm to hot with highs of 35C. Night will turn comfortable at 21C. Coimbatore – Very warm, dry and sunny with highs of 34C. Minimum will settle at 21C.